1 If using fresh blueberries, rinse in a bowl of water. Lift berries out of the water and let drain on a kitchen towel or paper towels. If using frozen blueberries, thaw them. 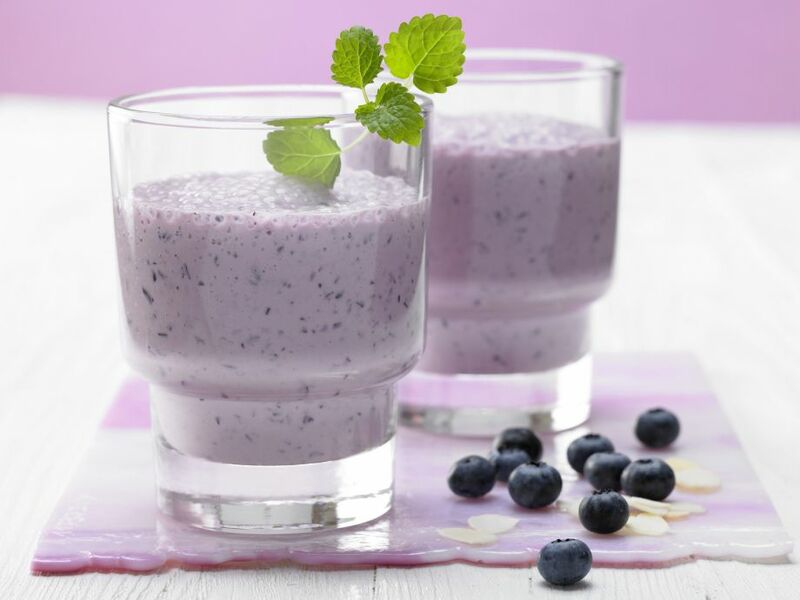 2 Put the berries with the remaining ingredients and 3-4 ice cubes in a blender. Purée until smooth and serve immediately.